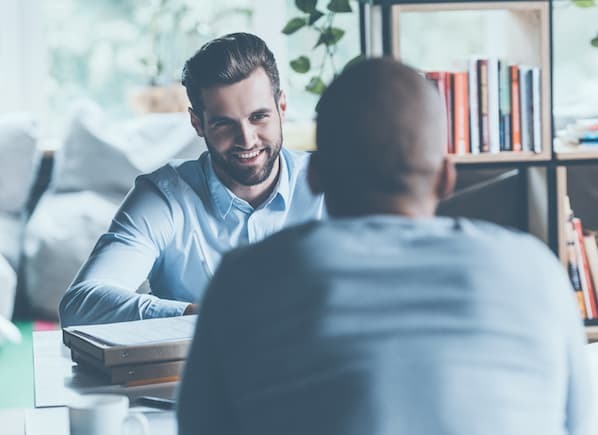 In this rapidly changing sales environment, there is often a stark disconnect between what management sees or does and what reps want or need. While sales productivity is a key revenue driver, higher activity volume doesn't always mean that key metrics like close rate or average selling price goes up. 49% of organizations have zero or limited means of measuring sales productivity. Without regularly reviewing productivity, time management, and communication skills, there is no tangible way for a manager to monitor and improve sales success. Performance reviews are personal experiences and the feedback you give should accurately reflect the performance of each rep you're reviewing. If you have a large team, it can be easy to slip into providing similar feedback to each person. These phrases help managers support a numerical score with explanations of what the rep is doing well, and what they can improve. Does the rep struggle to fill their pipeline and make sales? Do they make excuses for their poor performance? If the rep isn't meeting the expectations of their role, use these phrases to communicate why they're receiving a rating of "Does not meet expectations". A rep might be close to meeting expectations but still has some aspects of their job that they need to work on. Maybe they're a new rep who's close to hitting their quota but is just shy each month. Or they're a more tenured rep who's struggling to apply a new sales approach to their workflow. Clearly identifying these areas for improvement in the performance review will provide points to work on during any coaching or training after the performance review. 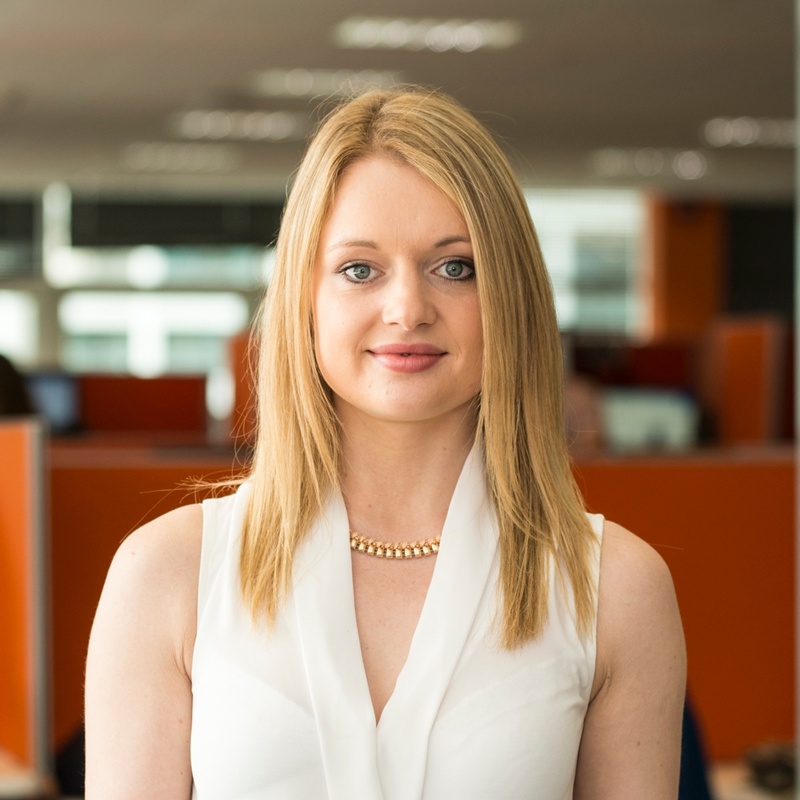 This employee checks all the boxes and they consistently perform at or above the expected performance level. They hit their quota, and maybe even exceed it on occasion. Here are some positive phrases you can use to let them know they're doing an excellent job. Reps who exceed expectations are those that go above and beyond the requirements of their day-to-day role. They might take on additional projects, train other reps, or tackle their team's reporting. If your rep is consistently exceeding expectations, provide clear feedback so they know they're doing outstanding work. HubSpot and InsideSales.com have created this quarterly sales rep review and coaching template to help managers measure and coach their inside sales reps to consistently improve performance each quarter. 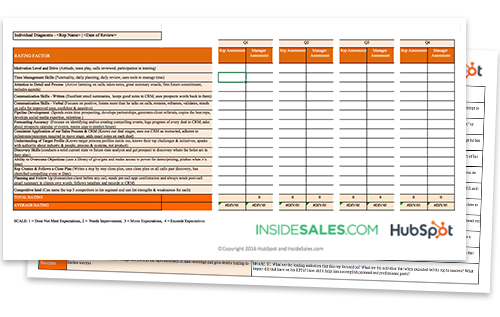 Grab your copy of this template and start coaching your reps towards higher output and revenue for your business today. To learn more, check out these steps to give a performance review next.